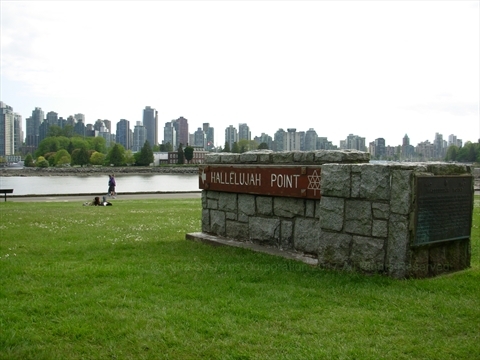 Hallelujah Point is a grassy point on the southeast side of Stanley Park. It offers magnificient views of downtown Vancouver. It got it's name because the Salvation Army used to hold Sunday services here and the shouts of 'Hallelujah' could be heard across the water in the city of Vancouver! Now, the point is mainly used by people laying in the sun enjoying the view. At the top of the plaque are the dates: 1887 and 1967. 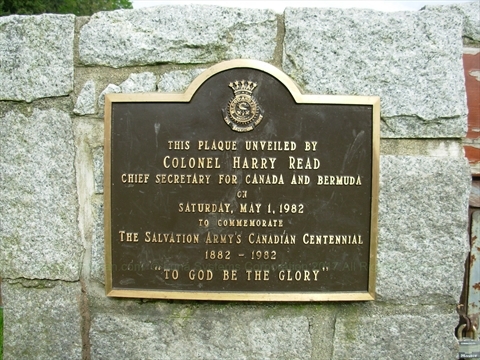 Commemorating the pioneering of the work of the Salvation Army in Vancouver. It was on this clearing the Salvation Army erected a rugged shelter, picnic tables, and then held services of song in the silent atmosphere of early Burrard Inlet The sound of the Hallelujah Lassies singing "Hallelujah, Hallelujah!" could be clearly heard across the waters to downtown early Vancouver - Water and Cordova Streets - and the clearing was thus named "Hallelujah Point". At the top of the plaque is an emblem with the words "Blood and Fire" and "The Salvation Army". 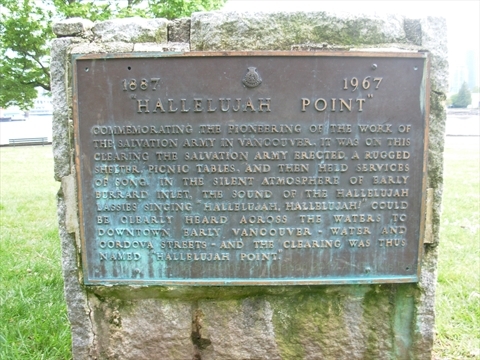 Where is Hallelujah Point in Stanley Park? Hallelujah Point in Stanley Park is located just past the Totem Poles next to the Harry Jerome Statue and before you get to the Nine O'Clock gun.